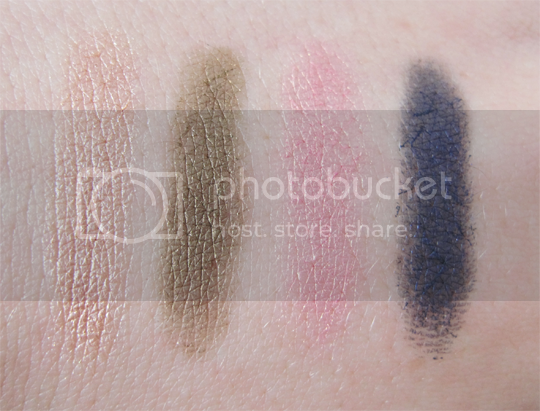 Last month, I mentioned Clinique’s new Chubby Sticks For Eyes and, as promised, am now finally sharing the shades I have with you in more detail! I absolutely love them, and I can’t see why anyone would dislike them! 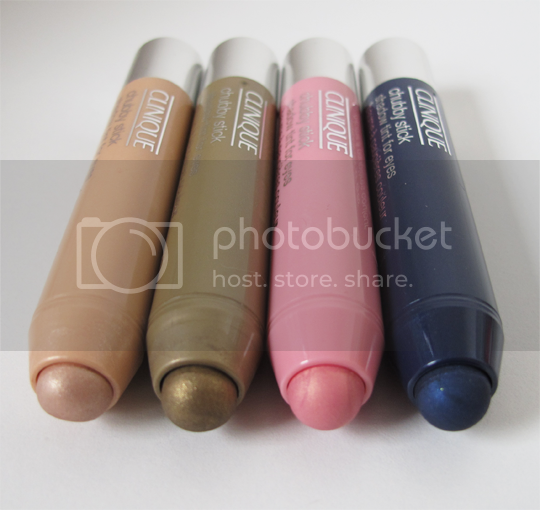 They honestly glide so smoothly over the lid with no pulling and dragging, but despite being soft and creamy to apply I can actually wear these without setting with a powder eyeshadow and not suffer much in the way of creasing, even on my oily eyelids. From left to right, the shades I have are Bountiful Beige*, Whopping Willow* (am I the only one who wants to call this Whomping Willow? ), Pink & Plenty*, and Massive Midnight*. Each one is gorgeous and ideal for a different type of look, so I’ve got a lot of versatility in 4 stout little pencils. Below are some quick looks with each colour. 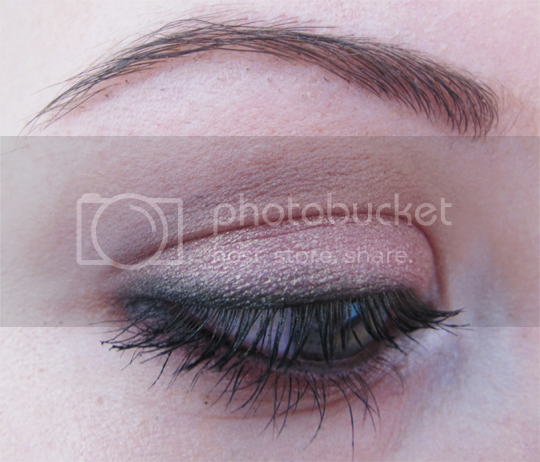 Bountiful Beige is perfect for a speedy, no-fuss everyday look. 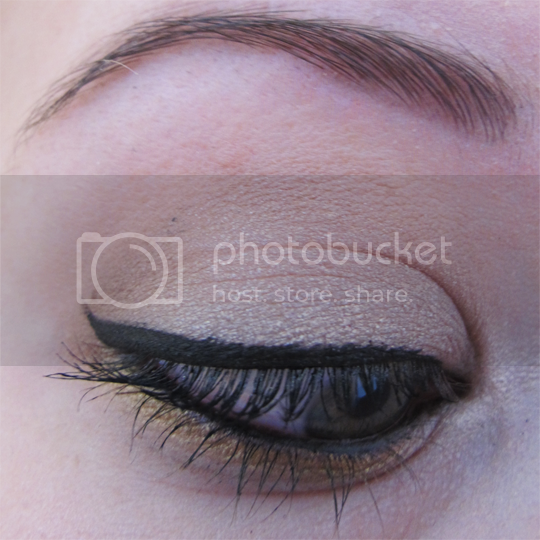 I just scrawled it over the lid and gave the edges a quick blend with my finger, paired it with a touch of gold shadow on the lower lashline and added some thick black eyeliner. Over the last couple of months I’ve got back into green eye makeup in a pretty big way, but it’s all about the olive and moss shades. 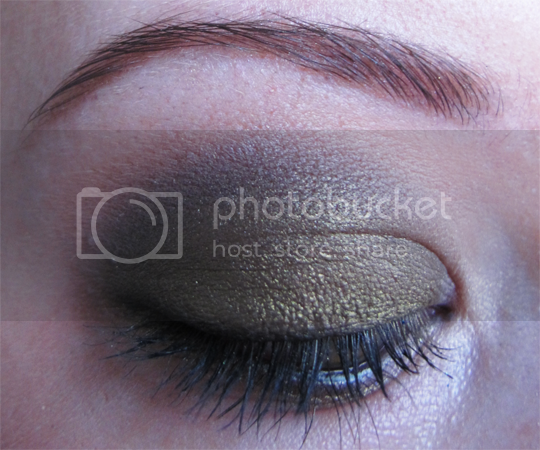 I’ve been loving teaming Whomping Willow with a multitude of green eyeshadows with a touch of black for definition to make a green smokey eye. Pink & Plenty is possibly my favourite, ’cause you know I love pink and red toned eye makeup. 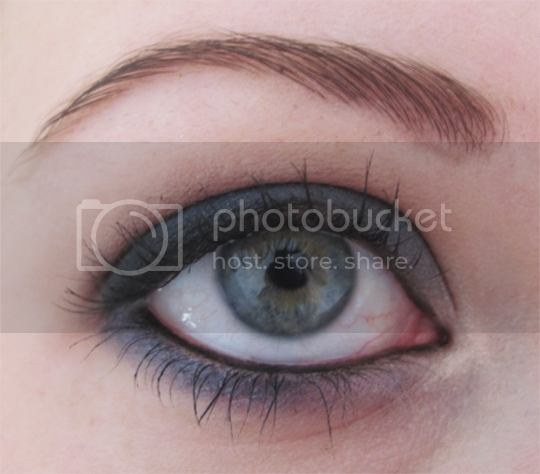 I just paired this with a deep mauve-y pink shadow to define the socket and on the lower lashline and it really complimented my blue eyes. I love the gold tones in this shade! 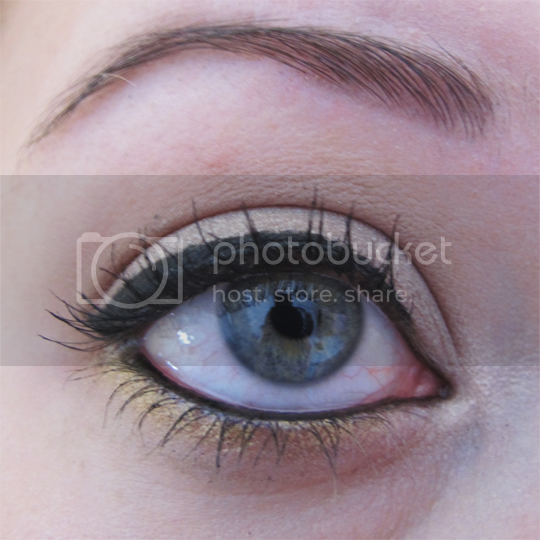 I’ve said it a million times, but I’m not a huge fan of blues on my eyes. Bright blues, that is – deep, inky blues are another story. Massive Midnight adds the perfect blue tone to a dark and sultry smokey eye. 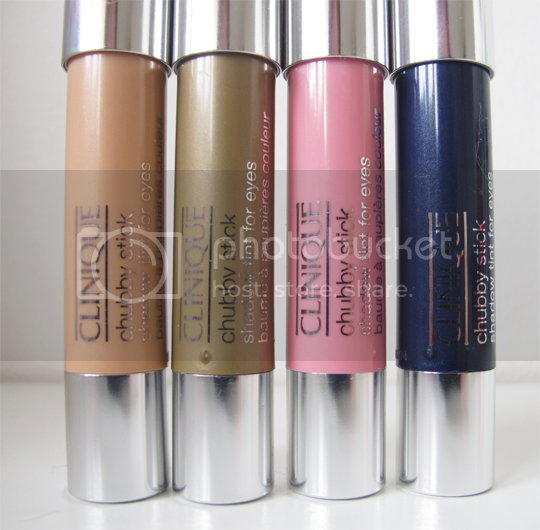 Have you picked up any Clinique Chubby Sticks yet? Are there any shades that are calling to you? Oooo these are nice. I like bountiful beige. Oooh, pretty colours! I love the chubby sticks for lips so much, might have to try these out! omg the green one is amazing! definitely need to get my hands on some of these! these look awesome!!! i’m not great at putting eyeshadow on so this would be so great for me. i’m also loving the colors!!! you have such beautiful eyes too.